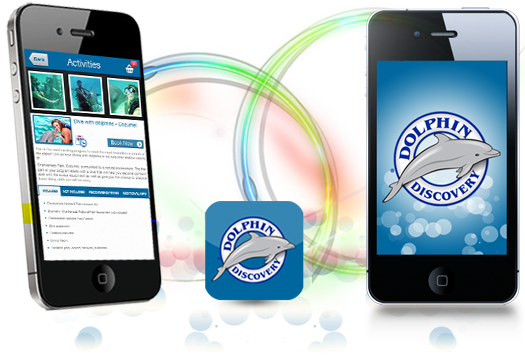 MyFirstiPhoneApp is a professional iPhone applications development company with proven capability of using the latest version of iOS to create category defining iPhone applications. 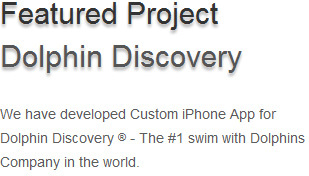 We have carved a niche as a top class iPhone app solutions provider that creates iPhone solutions founded on a thorough knowledge of iPhone devices, the iOS, and also the market for iPhone’s applications. We aim to surpass our clients’ expectations in the best possible way by providing them with comprehensive iPhone app development services using the latest technologies available on the market. 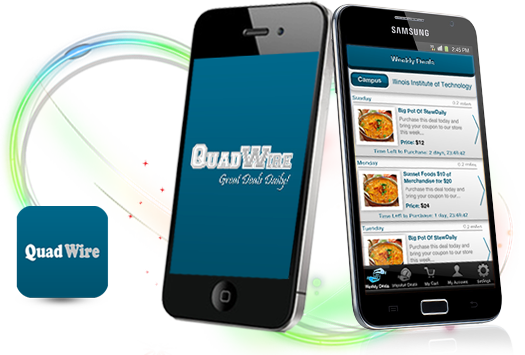 For this purpose, we have a dedicated team of iPhone application developers and designers who have up-to-date knowledge in various technologies, as well as, diverse business centric domain expertise. Thus, our iPhone app programmers are able to handle various complicated projects and develop iPhone apps for different categories such as Games, News, Weather, Productivity etc. 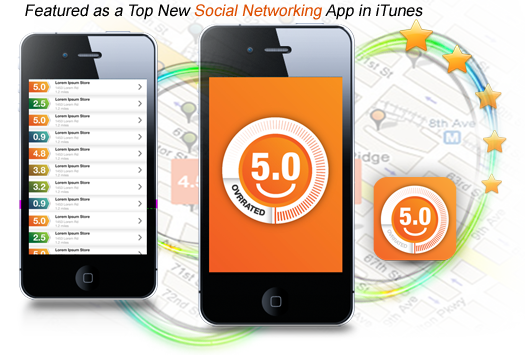 We follow a transparent iPhone apps development approach with our clients and pay full attention to client requirements. 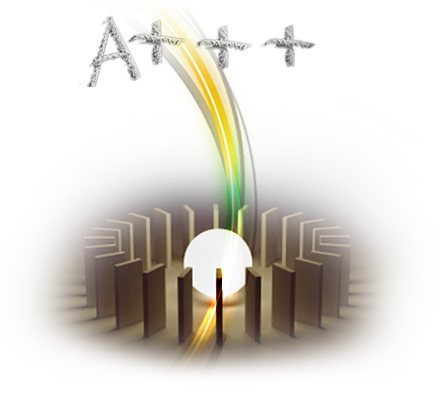 This helps us deliver premium quality solutions, which are creative, innovative, and most importantly, unique. This is how we have established many a long term business partnerships with our clients. 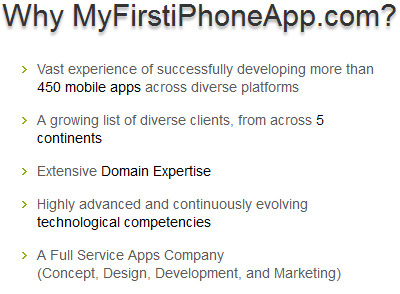 Trust MyFirstiPhoneApp, the premier iPhone app developer, to give you feature-rich and reliable solutions that not only meet, but exceed your expectations. Our core focus is on developing cutting edge business solutions and our iPhone Enterprise applications development is the best in the industry. Our solutions have earned rave reviews in the past and this encouraged us to experiment with, and deliver a wide variety of futuristic solutions to our esteemed clients. 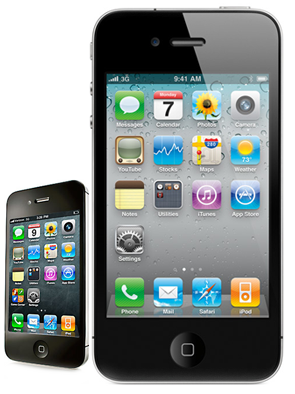 Contact us for iPhone applications programming that you can be proud of.